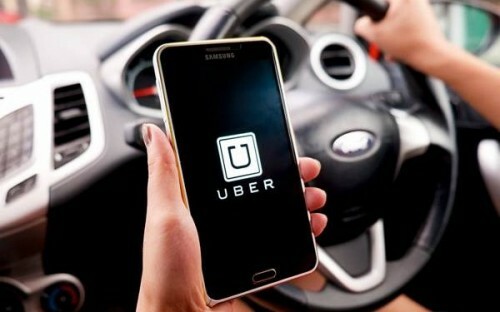 Home > News > Making The Headlines > B-School Debate: Should Uber Be Banned From London? The new chief executive of Uber is visiting London for talks with the UK capital’s transport authority after it revoked the car-hailing app’s license to operate in one of its most important markets. Transport for London (TfL) ruled last month that Uber was not “fit and proper” to hold a license to operate in London. But UK prime minister Theresa May called TfL’s decision “disproportionate”. TfL and Sadiq Khan, the major of London who is chair of the transport authority, have come under mounting pressure after a petition demanding that TfL renew the San Francisco-based company’s license received more than 842,000 signatures. So, should Uber be banned from London? The arguments in favour of the licence revoke center on concerns over the opacity of Uber’s software and its failure to report some alleged sexual assaults by its drivers. But the ban would effectively put 40,000 London drivers out of work and deprive Uber’s millions of customers in the city of arguably convenient and affordable travel. Freek Vermeulen, associate professor of strategy and entrepreneurship at London Business School, argues that Uber has not taken any real action in response to TfL’s concerns. Being given a temporary licence was a clear signal that the firm needed to do better; it was basically put on probation, he says. But he added that there are also key lessons for establishments such as TfL. “Institutions are responsible for legislation and they also categorise organizations, but there is no Uber category,” Freek says. “TfL said it banned Uber to protect people, but it isn’t set up to deal with a disruptor. However, Thomas Roulet, senior lecturer in international management at King’s Business School, King’s College London, says that Uber’s advantage in the feud is its ability to unite its customers and get their backing. “One would note that the name of the petition is not ‘Save Uber’ but ‘Save your Uber’, inviting signatories to identify to the firm and claim a broad ownership of the service,” he says. “The Uber ban directly threatens its customers’ routines, habits and comfort, thus making them more likely to exhibit a selective memory,” Thomas says.